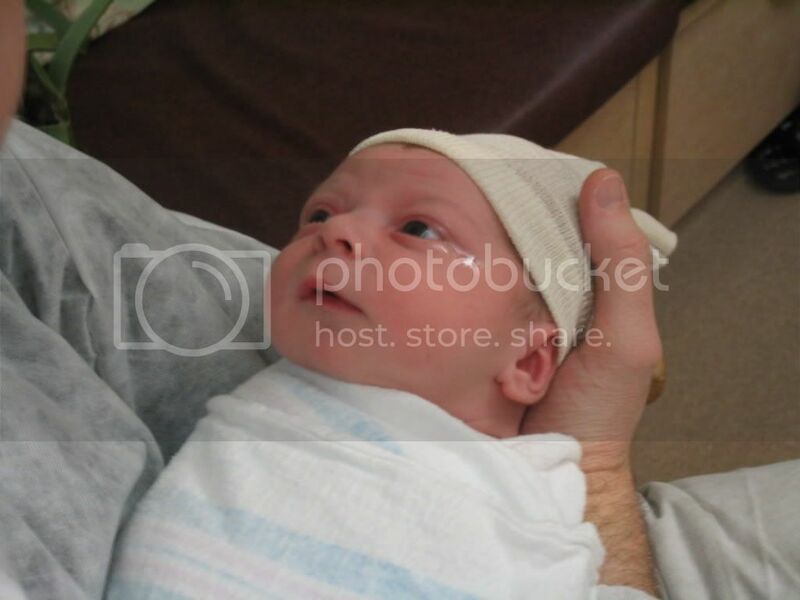 Three years ago today we welcomed baby Samuel into our lives with a bit of drama and lots of hope for the future. It's been much the same ever since. 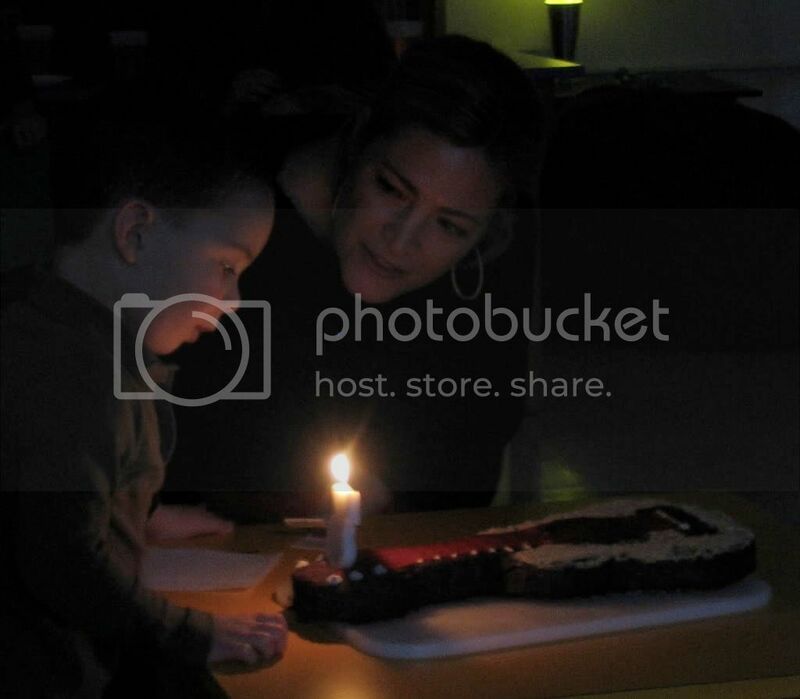 Yesterday we attended his birthday celebration at school. He got to dance with his teacher, Ms. Sonia, and have his friends sing to him. We even got to see him and the class do the hokey pokey! It was rewarding to see him having fun in that environment, one into which he worked hard to acclimate earlier this school year. Part of the celebration was sharing his birthday cake with his friends. Anyone who knows me knows that food is an important part of my psyche. Making his cake was something I thought about before he was born. It's a means for me to express my adoration for him in the only art form where I have any talent. Staying up late Thursday night baking and making frosting from scratch was my pleasure and gave me a time to reflect on my special little boy. 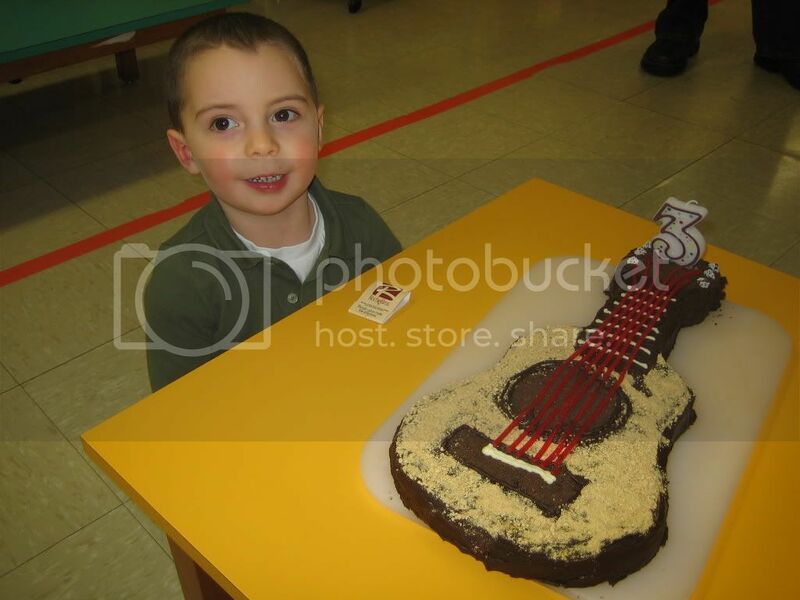 Early in the week he decided he wanted a guitar cake and so that became my task. The finished product was cute and tasted even better than it looked (if I do say so myself). And rest assured: any cake from the kitchen at Casa Dwyer is undoubtedly trans fat free! Tonight he gets another cake for our family celebration. This time it'll be an electric guitar served, almost certainly, with a rockin' solo by Bob who has become very adept at riffs and palming thanks to the toy guitar Santa left under our tree. Happy birthday, Sam. Thank you for making this such a special day! www.wellesleychannel.tv, or watch channel 9 on comcast or channel 39 on verizon. Thanks for your interest in us and our blog. I'll contact you via email to discuss the opportunity further.